Riverbench Vineyard was established in 1973, when its first Chardonnay and Pinot Noir grapes were planted on the property. For years since then, some of the most renowned wineries in Santa Barbara County have purchased our fruit for their own wines. 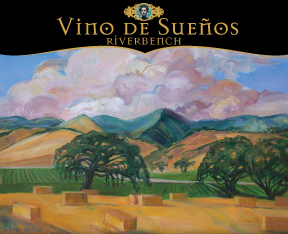 Over time Riverbench has become a prominent name for high quality Chardonnay and Pinot Noir in the Santa Maria Valley. In 2004, a group of local families purchased the property. Wine drinkers themselves, the owners quickly became enamored with the wine industry and decided to start producing their own wine label using small quantities of their exceptional fruit. Riverbench Winery was born. The first vintage included both Estate and Reserve versions of Chardonnay and Pinot Noir. Since then, our portfolio has increased to include new interpretations of these noble varietals. All Riverbench wines are made in limited quantities, and many are available exclusively through our tasting room.